This is the story of a musical instrument that was birthed, died, and was reborn in the 230 or so years of its existence. The harmonium was conceived in the West, but today largely resides in the East, particularly in the Indian subcontinent; so much so that many mistakenly think it to be an Indian instrument. To go into the past and locate the precise starting point of an idea or an invention is tricky, but one must start somewhere. The prototype of the harmonium was designed by Christian Gottlieb Kratzenstein, a professor — not of music but physiology — at the University of Copenhagen. As an academic, Dr. Kratzenstein experimented with the effects of electricity on the human body. It is believed that Mary Shelley was so fascinated by his research that he became one of the inspirations for her classic novel, Frankenstein. She even adapted his surname for her fictional scientist. Professor Kratzenstein did not produce a monster; his creation was quite the opposite. When he was not conducting physiology experiments, Kratzenstein indulged in music. He was fascinated by the sheng, a Chinese free-reed instrument shaped like a vertical pipe. Marco Polo had introduced the sheng to Europe centuries earlier, and by the 1700s shengs were being brought to Europe in fair quantities. One had wound its way along the Copenhagen streets and in through the door of Kratzenstein’s house. The professor was charmed by the free reed, as much by the physics behind it as with the crystal-clear notes it produced. In 1779, the Academy of Science at St. Petersburg offered a prize for an essay on the formation of vowel sounds on an instrument similar to the “vox humana” of an organ. Kratzenstein built a small pneumatic organ fitted with free reeds, presented it to the Academy and bagged the award. Others began building similar instruments. In Vienna, Anton Haeckl constructed the physharmonica, a keyboard instrument filled with free reeds. John Green invented the seraphine, which produced music when air was blown over metallic reeds. Such instruments are now museum pieces. Gabriel Joseph Grenié invented the orgue expressif (Expressive Organ) because his reed-instrument had a wider range, and could produce crescendos and diminuendos. 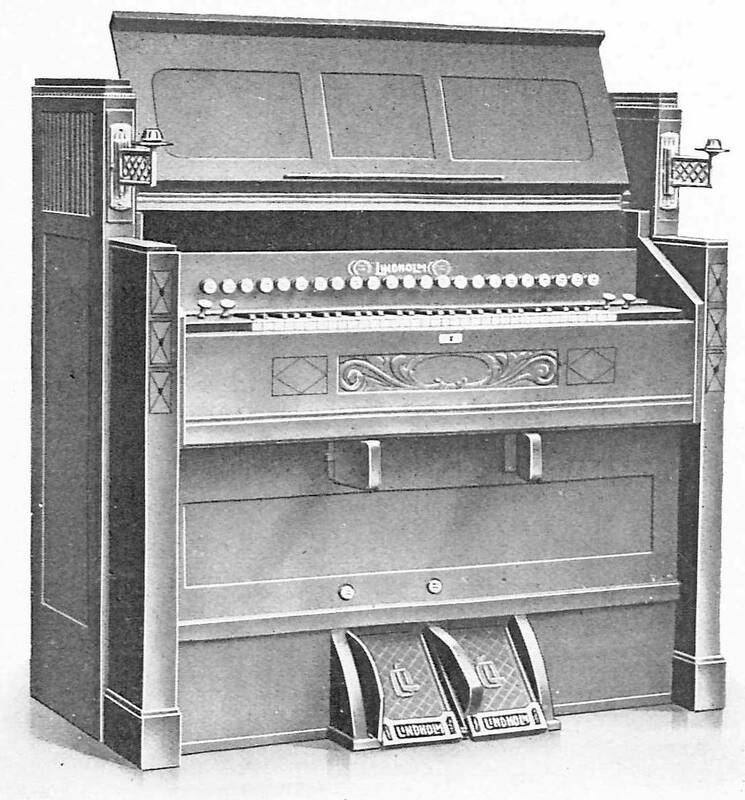 Alexandre Debain of France further developed Grenié’s instrument, patented it in 1840, and named it the Harmonium. The harmonium is like a smaller-sized organ that produces sound when foot-operated bellows sends wind through a pressure-equalising air reservoir, causing metal reeds (fixed at one end, free at the other) to vibrate. Volume can be controlled by various means, by valves operated by the knee, by stops placed above the keyboard that allow the wind supply to bypass the reservoir, and by the force used to pump the bellows. Harmoniums were lighter in weight and smaller in size than organs and therefore easier to transport and less liable to be damaged in transit. Due to this many reasonably affluent families ordered one for their living room. Heat and humidity did not affect harmoniums as much as they did pianos, so it was also suitable to ship to the tropical colonies of Western powers in Asia, Africa, and the Caribbean. Western classical musicians began composing pieces specifically meant for the harmonium, among them the Bohemian composer Antonín Dvořák, the German composer Sigfrid Karg-Elert, the French composer Louis Vierne, the Russian composer Dmitri Shostakovich, and the American composer William Bergsma. Belgian composer Cesar Frank’s collection, L’Organiste, was written for the harmonium and not for the pipe organ, as some believe. Passages scored for the harmonium were part of Gustav Mahler’s Symphony No: 8, Edward Elgar’s Adagio for String Orchestra Op. 70, and Gioachino Rossini’s Petite Messe Solennelle. The American composer Arthur Bird, who spent much of his life in Germany, wrote musical sketches (waltzers, skizzens and gavottes) specifically for the Mason & Hamlin harmonium model, which Bird called The American Harmonium. With all this limelight shining on them, harmoniums with two or even three keyboards were built. Their larger bellows often required additional pumping by an assistant operating a lever on the side while the musician pumped the foot pedals as usual. The harmonium gained an upper class image, one that went with tuxedos and evening gowns, diamonds, and champagne. But that notion turned topsy-turvy when folk musicians of Appalachia and the American South took to the harmonium. As the instrument became widely accepted, it was also used for patriotic music. The harmonium became an important instrument in the folk music of Scandinavia, Finland in particular. While the instrument largely disappeared from Europe after the mid-twentieth century, as late as the 1980s it remained an essential part of many Scandinavian bands and school ensembles. Contemporary Finnish composers Milla Viljamaa and Timo Alakotila continue to make good use of the harmonium. The harmonium’s decline began in the early twentieth century. Changing tastes in music meant it was no longer popular as a household musical instrument. The knockout blow: the invention of the electronic organ in the 1930s. This shiny new creature had the musical range and tonal quality of a pipe organ, and the size and price range of a harmonium. Even better, it provided a greater number of stops than the harmonium. And no pumping of bellows was involved. Moreover, in litigation-oriented America, patent laws came into play. Harmonium manufacturers could patent the action mechanism on their instruments, so that companies entering the field had to tack on something new or significantly modify something existing, even if it was just a crank or a shaft. Harmoniums became increasingly more expensive to produce and maintain in the United States. And when the modern electronic keyboard with its MIDI sound systems came into existence, it was time to sing a requiem for the harmonium. Or was it? Another story had been playing out on the opposite side of the world. The portability of the harmonium (relative to the organ, the harpsichord and the piano), and its heat resistance meant that the British could export the instrument to their colonies for their homes and their churches there. Thus, several European harmoniums made their way to India where they became the cynosure of the eyes of Indian musicians. One such musician was Dwarkanath Ghose, whose company Dwarkin & Sons, was a leading manufacturer of musical instruments in Kolkata (Calcutta). In 1875, he brought out his version of the Indian hand-harmonium, an instrument more than halved in size from the European harmonium because it was pumped by hand-operated bellows located at the back of the instrument instead of foot-operated bellows beneath the keyboard. This new incarnation of the harmonium was more durable, far less expensive to build, and easier to maintain and repair. Ghose simplified the internal mechanism of the instrument, and added drone stops that would render it suitable for Indian classical music. A scale-changing mechanism was added later. Moreover, Indian musicians traditionally sat on the floor when they gave concerts, and the modified harmonium could be played while placed on the ground. But the fundamental difference that made such adaptations possible at all was this: Western music is based on harmony, Indian music on melody. Therefore it was quite feasible to pump the bellows with one hand and play the melody with the other. One did not need both hands on the keyboard. India started manufacturing its own harmoniums, and by 1915, had become the world’s leading producer of the instruments. Like any new kid on the block who had outsider written all over, the harmonium was received with suspicion by many Indian musicians. But when well-known performers like Ganpat Rao and Govindrao Tembe introduced it in their classical musical concerts and into Marathi opera, it gained grudging respect. Then politics derailed this acceptance. The partition of the state of Bengal in 1905 into East and West Bengal by the British sparked off the nationalist Swadeshi movement. One of its tenets was that anything British was to be rejected, that which was Indian favoured. And the harmonium (never mind that it originated from continental Europe, not Britain) became a target. In the pre-harmonium days, Indian vocalists would be accompanied by musicians playing the sarangi (a bowed, short-necked string instrument). Though said to approximate the human voice, the sarangi was technically difficult to master and needed extensive re-tuning for each raga (melodic musical scale). Moreover, some performers shunned it because it was historically associated with courtesans and titillating music. The harmonium began to replace the sarangi as the instrument of choice to accompany vocalists. But with the politics of national identity and the designation of the harmonium as ”foreign” (though a Bengali, Dwarkanath Ghose, had ‘Indianised’ it), the sarangi came into favour again. Gone was the taint of courtesans and debauchery; the good old sarangi was Indian, and therefore to be preferred over that nasty little foreigner, the harmonium. The harmonium also had its limitations. While the Indian scale of music of twelve semitones is nearly the same as that in Western music, there are discernible differences between the two. The Indian concept of swara (note in an octave) does not relate to a specific pitch point, rather to a pitch-range with variegated possibilities of shades and nuances. No keyboard instrument can meet to this concept of swara; it can only play one note or the next. Thus, the harmonium could not generate the meend or gamaka (a glide from one note to another) in the way a veena or a sitar could. Therefore the harmonium cannot produce alankars (sound ornamentations), the trills that are so beloved in Indian classical music. A given swara in two different ragas has subtle intonational differences; musicologists claimed that the harmonium could not bring these out effectively. All of this became ammunition for the anti-harmonium brigade’s use. The instrument’s name itself suggested that it was devised to play harmonies, two or more keys pressed simultaneously to register the melody note and the chord. This is an instrument of evil, the purists cried, a Frankenstein monster that will inflict harm upon Indian music. All India Radio (which, at one time, had the monopoly over commercial radio broadcasting in India) then banned the instrument from its airwaves from 1940 to 1971. It now allows the broadcast of orchestral music of which harmoniums form a part, but solo harmonium recitals are still prohibited. The instrument initially was the darling of Rabindranath Tagore, who used it to compose many of his songs, although he later not only fell out of love because of its musical limitations but condemned it outright and forbade its use in his residential school, Santiniketan. But the harmonium was not without its champions. Lions of Indian classical music such as Pandit Bhimsen Joshi , Ustad Bade Ghulam Ali Khan and Begum Akhtar picked the harmonium as the instrument of choice to accompany them when they sang. The harmonium had a rich, continuous tone that only a violinist with a steady hand and immaculate bow control could match. Besides – and politics be damned – wasn’t the whole idea to set the right atmosphere and bring out the best from the singer with the instrument most suited for the occasion? The harmonium had other good points. Without a doubt it was easier to master than the sarangi or the violin. It was excellent for group singing, loud enough for the drone to fill a concert hall, and it became the key instrument in teaching students the rudiments of music and song. Hindu and Sikh groups quickly adopted it for their devotional music (bhajans, kirtan, dhun, shabad), using a tabla or dholak for the percussion beat, and often with other accompaniments like bells and cymbals. The Christians didn’t lag behind; they used it to sing hymns in Indian languages just as the Europeans and Americans had once used it for church music. The harmonium became the principal (and often, the sole) instrument for qawwali, a devotional music tradition of the Sufi branch of Islam that went back seven centuries. The harmonium had now justifiably developed a reputation as an instrument for devotional music in four religious traditions on the Indian subcontinent. The international harmonium: Pakistani maestro Ustad Nusrat Fateh Ali Khan and his troupe render a Sufi qawwali composition to welcome South African hero Nelson Mandela to Birmingham, England; October 1993. The Carnatic (South Indian classical) school of music has been ambivalent about the harmonium as a natural fit in its repertoire, though it had its great exponents such as Perur Subramanya Dikshitar whose wizardry on this instrument, many say, cannot be surpassed. Another veteran harmonium player, Palladam Venkataramana Rao, said that the instrument is so good that it is silly to hold its inability to produce a gamaka against it, because gamakas alone do not Carnatic music make. But for all that, a solo harmonium performance is as rare in the famous Chennai Carnatic music concert season in December as snowfall is in that city. The naysayers notwithstanding, the harmonium became popular across a wide spectrum of music: rural folk music all over India, in ghazals (Urdu poetry set to music), kathak (North Indian classical dance), thumri (North Indian semi-classical variation) and kheyal (North Indian classical vocal). Even the Indian movie industry embraced the harmonium with an open heart. The harmonium became an instrument for popular entertainment. As the nineteenth century segued into the twentieth, as mentioned earlier, the great wave of European immigration to the United States introduced the European harmonium to America where it thrived before dying out. The Indian harmonium similarly made its way to the United States in the first half of the twentieth century, but it was the Asian immigration wave in the 1950s-1960s that popularized it. This was also the period of the American Counterculture, an anti-establishment cultural movement fuelled by such disparate elements as women’s rights, race relations, and the Vietnam War. A. C. Bhaktivedanta Swami Prabhupada, founder of the International Society for Krishna Consciousness (ISKCON), was assisted in his early years in America by Beatniks like Allen Ginsberg. As the harmonium was by this time an established vehicle for devotional music, ISKCON members using it became a common sight. Beatniks and hippies gravitated towards the instrument. Ginsberg played it constantly, most famously when he whipped it out and chanted the Hare Krishna mantra to the conservative writer and commentator William F. Buckley Jr. on his “Firing Line” television show in September 1968. Allen Ginsberg, with harmonium, chants the Hare Krishna maha-mantra to William Buckley. But the evolution of the harmonium still continues, as ingenious minds seek to introduce modifications that would make it more and more desirable as a vehicle for Indian music. Following in the forgotten footsteps of Dr. Kratzenstein, who adapted the concept behind a Chinese musical instrument to suit European music, another doctor, Dr. Vidyadhar Oke, a pharmacologist who resigned his position at a pharmaceutical corporation to pursue his interest in music, has invented a harmonium that can play the twenty-two shrutis (microtones) required by Indian classical music. Whereas Western music is based on a fundamental diatonic scale (C-D-E-F-G-A-B, or, in popular parlance, Do-Re-Mi-Fa-So-La-Ti) and a repeated octave, Indian classical music uses a seven note movable scale (Sa-Ri-Ga-Ma-Pa-Dha-Ni) and additionally employs semitones as well as inflections smaller than a semitone. Oke worked with craftsmen from a company that had been manufacturing harmoniums for 75 years; together they produced an instrument that can generate the requisite microtone by providing knobs positioned below the keys, the pulling of which activates additional reeds. Tagore might quite possibly be smiling from beyond the grave. Other innovators are also at work. Pandit Bhishmadev Vedi amalgamated the harmonium with the swarmandal (a small, harp-like instrument, India’s answer to the zither and the autoharp), and the design was developed by his disciple, Pandit Manohar Chimote. Chimote named this new instrument (the hand-harmonium with the swarmandal affixed horizontally on its flat top surface) the samvadini. That which is stagnant eventually dies. That which evolves survives. And through its new incarnations, the harmonium looks set to march on through the twenty-first century. The Mantle publishes emerging critics, writers, and intellectuals in the areas of Arts & Culture (http://www.mantlethought.org/arts-and-culture), International Affairs (http://www.mantlethought.org/international-affairs), Philosophy (http://www.mantlethought.org/philosophy), and World Literature (http://www.mantlethought.org/world-literature). We foster discourse with a global audience through critiques, essays, and interviews. We pay close attention to voices with limited exposure in their home countries and the English language, as well as individuals experiencing censorship. Our Publishing (http://www.mantlethought.org/publishing) arm features emerging critical and literary talent in print and ebook form.